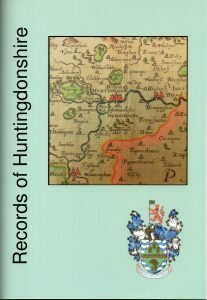 The Society publishes an annual journal, Records of Huntingdonshire, which contains short and scholarly articles on Huntingdonshire history. This page will shortly contain a complete list of all the copies of the Records of Huntingdonshire that have been published. Virginia Ferrar: A Liberated Woman, by David Ransome (page 3). Archbishop Sancroft’s Visitation of Huntingdonshire 1686, by Alan Richardson (page 15). Warboys Parish Records: Mystery of the Missing Page, by Brian Lake (page 34). Jarvis Matcham, a notorious crime revisited, by Ian Beckwith (page 44). St Edward’s Home Huntingdon, by David Cozens (page 50). Mary Hopper (1919-2016): A Tribute, by Philip Saunders (page 65). A Fourteenth Century Huntingdon Rental, by Philip Saunders (page 3). Funerals, the Final Consumer Choice, by Ken Sneath (page 22). Beggars’ Bush Revisited, by David Howlett (page 32). The Mystery of Houghton Mill Film, by Gerry Feakes (page 38). Lamport and William Barnard Rhodes-Moorhouse, by Alan Butler (page 48). 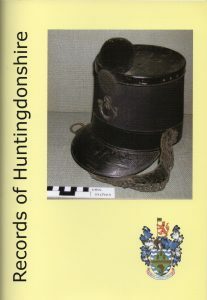 Huntingdon Mayoral Chain, Part 3, by David Cozens (page 52). Book Review: Joyce Ransome, The Web of Friendship: Nicholas Ferrer and Little Gidding, reviewed by Ken Sneath (page 56). Lord Renton, P.C. K.B.E., T.D., Q.C., D.L., An Appreciation, by David Cozens (page 3). The Society’s Foundation 1957, by Philip Saunders (page 5). 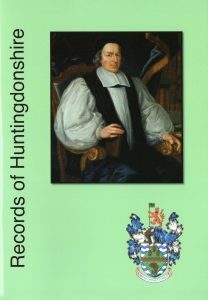 Robert Hodson: An Eighteenth-century Huntingdon Clergyman, Part 2, by Alan Richardson (page15). Cockfighting and Bible Raffling at St. Ives, by David R. Viles (page 29). William Cowper and the Abolition of the Slave Trade, by Alan Butler (page 37). The Society’s Museum Collection, by Philip Saunders (page 55).